Robox boasts a combination of unique features not seen in any other desktop 3D printer that work together to achieve truly outstanding results. Designed with safety in mind and a 2 year warranty, come and see what we can build together. As a global leader in education technology, AVer affords schools the flexibility to create customized teaching and learning solutions, mixing and matching from a wide range of first-rate classroom technology. From our industry-leading visualisers and easy-to-use distance learning systems, AVer provides schools with the latest and best in classroom equipment to enrich learning in the classroom. Take educating one step further by making your class an AVer class! Casio’s lamp-free projection range has a model suitable for most applications including classrooms, boardrooms, exhibitions and retail. Discover more about the benefits of lamp-free projection at the Hugh Symons Tech Day and meet the Casio team face to face to find out more. 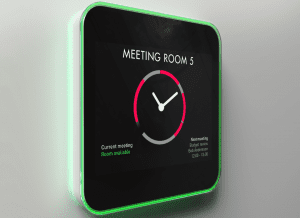 The next generation room manager, no more double bookings, confusion and interrupted meetings. Also on show will be the i3sync which will change the way you give presentations forever, Share your screen within a second without wires and without installation, come and see for yourself how easy this is to do. Loxit design and manufacture high quality and durable product range which include wall mounted lifts and mounts for large format displays. Portable, mobile and security trolleys for iPad and tablets with sync and charge options. Durable mobile laptop security with charging options. A comprehensive range of physical security products for Apple, PC/Mini Tower and Servers. Whiteboard and Projector Mounts along with a full range of professional mounting and security products. Come and see the all in one smart choice for signage. 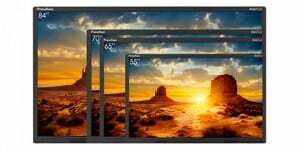 This 65” screen hosts a wide variety of features including 4k resolution. Projectors and Interative touch panels will also be on show. 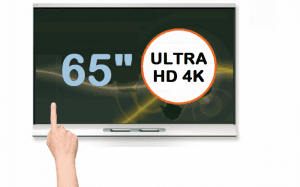 The 65″ Clevertouch Plus is the first in the world to offer an integrated Android operating system and true 4K solution. It features 10 touch points, 4K resolution and an optional Intel i7 4K PC with 1TB HDD, 8GB RAM and Windows 8 as standard. This new model offers more interactive features than the wePresent-1000 model. In addition to all functionality the WiPG-1000 has to offer, the wePresent-1500 also allows users to annotate. Welcome to Condor, the home of exceptional service and support for Canon MFD (copier/printer/scanners). Come and see the latest interactive and Large Format Displays all with brilliant 4K screens and 5 years on-site warranty. From the number 1 world-wide projector manufacturer Epson, come and see the Epson EB-1430WI. This multifunction, interactive room system brings together finger-touch and dual pen interactivity, high-quality images and excellent connectivity for easy collaboration. See full collaboration with a Microsoft Surface Pro and an I-phone and watch how you can Scan and print directly to an Epson Workforce Pro printer. Taking Audio Video Distribution to the next level, come and talk to the experts about HDMI Distribution with a wide range of extenders and AV Matrix devices independently distributing HDMI sources to displays. Hugh Symons Audio Visual delivers market leading solutions. We can offer you a supply, installation and consultancy package ensuring you that you have the right job for your needs. We work with all the major manufactures most of which will be at the event, we offer product demonstrations, loan equipment, extended installation warranties (up to 5 years) and training so you can get the best our of your investment. Please see one of the team today to arrange a visit to discuss what services we can offer you. 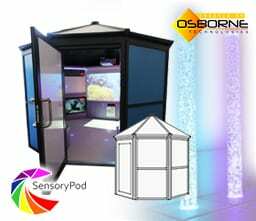 Improve safeguarding and enhance your visitor experience with Entry sign, in addition Osborne design and install the most technically advanced immersive classrooms and multisensory environments in the industry. We offer a full range of HPE and Aruba servers, storage, switching and wireless solutions. Our ‘Pre-Loved’ refurbished HP I5 machines start from only £219, with a 3 year warranty and a keyboard and mouse. We provide cost effective, creative and future-proofed ICT solutions to transform your environment and improve productivity along with scalable support services from responsibility for the day-to-day management of your ICT department to tailored services, strategic guidance and support as and when you need it. At funding we know leasing can sometimes feel quite complicated and daunting, but it really doesn’t have to be, come along and let us talk your though all your options. Have some fun on the Hitachi stand with the all new racing simulator text your driving skills against the experts. In addition see the latest ultra short throw projectors and the interactive panel now shipping in various sizes. The easiest way to share big ideas and watch them grow. Simply share your laptop or mobile device on a main presentation screen. Brings people, content and ideas together – all with a simple click. No hassle, no messy cables, just quick confident sharing. There are lots of great learning resources out there, but imagine if you could access all of them from one place. 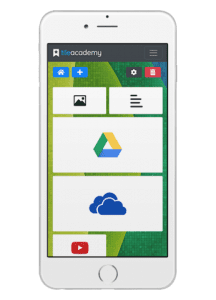 That’s what TileAcademy is, a place for great e-learning content, a place to collect it and share it. Whoever you are in education, we’ve got you covered. Whether you’re a teacher looking for training or inspiration regarding digital learning, a senior leader making the hard decisions about pedagogy and purchasing or whether you’re a network manager enquiring about infrastructure and scalability, we can help. Our ‘all-through’ service gives you the peace of mind that all the pieces of the puzzle will fit together when looking to deploy Apple hardware within an education environment. Unicol have been supporting the AV industry for over 50 years by designing and manufacturing robust, value engineered mounting solutions from standard items to large complex projects. By utilising tried and tested manufacturing techniques combined with highly developed design methods Unicol have built on their long experience in the AV business and continue to add to their exciting product ranges that combine durability and quality with style.